The Legend of the Blue Sea is a beautiful love fairytale with undertones of “the little mermaid” combining the Joseon era and modern day Seoul. It’s been some time since I recommended a drama. Part of the reason is I haven’t watched any in a long time and the few attempts I did make to watch some never panned out for me because I either lost interest mid-way or fell off and wasn’t compelled to return and finish the drama I was watching. Well, all of that changed when I discovered The Legend of the Blue Sea. Putting aside the fact that Lee Min Ho is one of my favorites in Korean drama land, (I never did finish “The Heirs” because I lost interest mid-way), there was something so alluring about the premise of this story that it hooked me from episode one. The Legend of the Blue Sea tells the tale of a mermaid Sim Chung (Gianna Jun) who is captured by a horrible man Mr. Yang with plans to exploit her in the Joseon era. 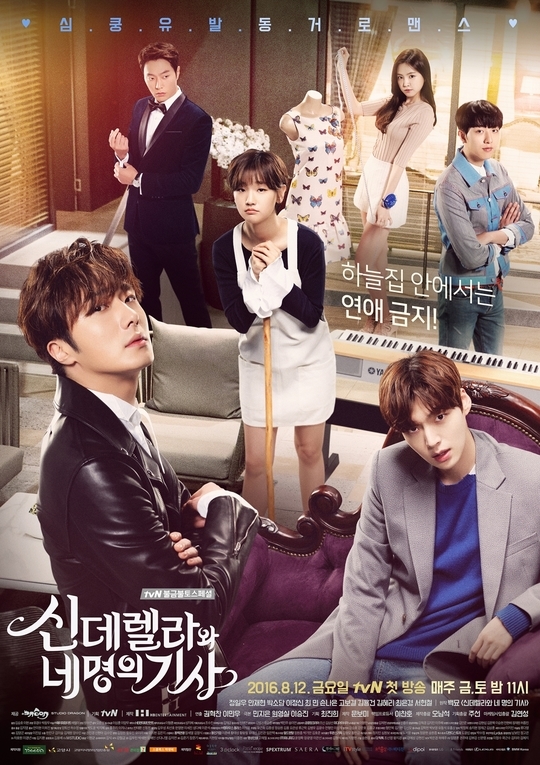 Dam Ryung (Lee Min Ho) is the new governor of the town and comes to stay at Mr. Yang’s inn where he sees the mermaid and I believe when their eyes met it was ‘love at first sight.’ He requests a favor from Mr. Yang to give the mermaid to him and Dam Ryung ends up letting her go back into the ocean. In modern day, Dam Ryung is reincarnated into Joon-Jae who is a smooth con artist and magician with amazing hypnosis skills. He, along with his two companions Nam-Do and Tae-O con various rich people out of ‘corrupted money’ for a living. After a major con, Joon-Jae travels abroad to a resort near the ocean. He doesn’t know that this is the land where the mermaids live and due to a tidal wave, a reincarnated Sim Chung ends up washed ashore near the resort where Joon-Jae is staying. It doesn’t take long after that for the two of them to meet in modern day and there is an instant connection between them like in the past. Chaos, drama and comedy ensues as Sim Chung tries to make sense of her new surroundings, new legs and Joon-Jae. Joon-Jae takes a special interest in Sim Chung when he notices the bracelet she is wearing. In the midst of his getaway vacation they end up being chased by bad guys. After escaping danger, Joon-Jae goes back to Seoul and Sim Chung, having grown an attachment to him, decides to follow him back home. It’s there that the relationship between the two really kicks off with them learning about each other, their past and the ill fated love that they share, which connects them through time and space. As the episodes progress you get a deeper understanding of the past they shared in the Joseon era and how they are connected in the present. How will the story end? Your guess is as good as mine. I’m writing this recommendation at episode 15. There are supposed to be 5 more episodes left to air, making this a 20-episode drama. So, I am rooting for a happy ending with these two, although there are many circumstances working against them. Now, did that peak your interest? I hope so. If it did, you can watch the episodes on KissAsian commercial-free. Previous post 3 Anime Shows. Historical, Romance and Fantasy Themed. Recommended.